Already setting eyes on the car scene from a young age, Sean found his passion for cars by riding around to car meets with his Dad and his team. Ever since then, cars have been his main interest. 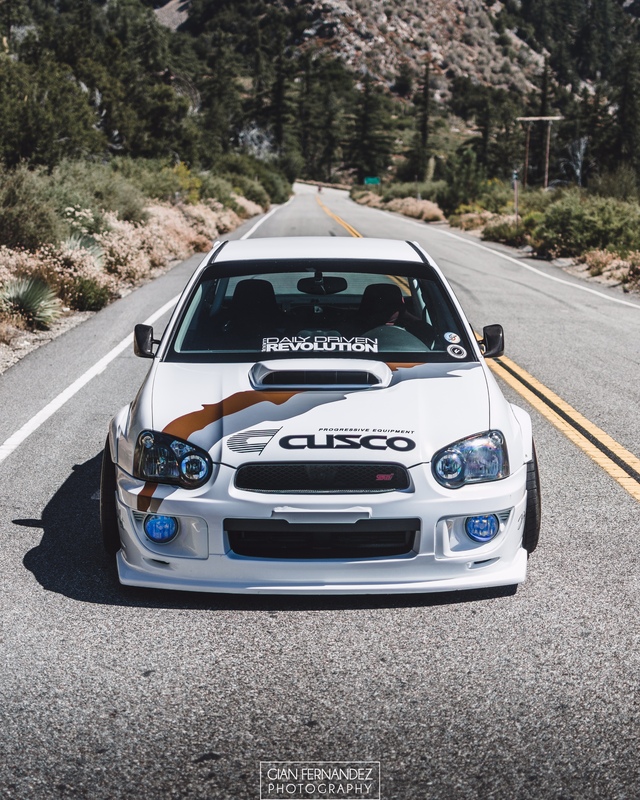 Upgrading from his first car, which was a 2000 Honda Prelude SH, he purchased his beloved Subaru STi. He first laid eyes on the STi when he was playing the video game, Granturismo. When he saw the Cusco Subaru Impreza in the game, he dreamed of owning one ever since. When I saw the words “All Wheel Drive” and “Turbo”, I knew the car was going to be a hell of a ride – let alone the unique rumble. I was impatiently waiting to own one, but now that I finally have it, I ended up changing out the stock unequal length headers to Tomei equal length headers resulting in better performance, but losing the infamous Subaru rumble. Sean just changed his entire setup on his car. Adding new Work Meisters wheels, completely changing the wrap color (matching his brembo breaks), and updating his suspension by adding bags (S/O to Gilbert). Meeting new people has to be the best car moment experience so far. Some of my closest friends I’ve met are through my car.